School uniforms can cost parents a lot of money. Not only are kids prone to growth spurts, they can also lose items easily and get clothing damaged leading to extra replacement costs. Fortunately, there are a lot of tricks that can save you money when shopping for a school uniform. Here are just a few tricks every parent shopping on a budget needs to know. There are certain times of the year when clothing is a lot more expensive. Summer happens to be the most popular time for shopping for new school clothes and there is a lot of back to school deals worth taking advantage of, however, compared to other times of the year this can often be a fairly expensive time to buy school supplies. You’re much better shopping for clothes mid-term when the demand is lowest – you can sometimes find great promotions during these times. It’s worth bulk buying certain items like socks and shirts. You can find great deals on cheap packs of socks and shirts. The disadvantage is that these items of clothing may not always be the best quality, so you could end up getting less use out of them. However, the fact that you’re buying so many at once means that you’ll always have spares. 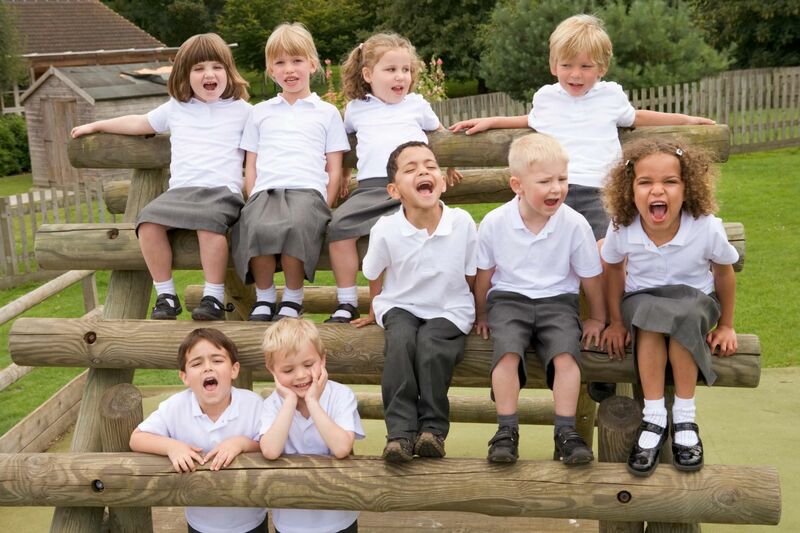 You can often buy cheap school clothes by opting second-hand rather than brand new. Some school uniform shops may have sections for discounted used clothes. Charity shops can also be a great place to look for second-hand school clothes. Many of these clothes will be in good condition – a parent may simply be selling them because their child has grown out of them. You can also buy second-hand school clothes online. It’s worth using local selling sites where you can collect these items rather than paying extra for delivery. Clothes swap events are great opportunities to save money on school clothes. It could be worth arranging one of these events with other parents – this could allow you to all swap clothing with one another, allowing to get school clothing for free. Talk to your school’s parent committee as they may be able to send out a newsletter or advertise the event on the school site. It could be worth also buying labels for your kids’ clothing. If a cardigan or sweater gets lost, it will be easily identifiable due to the name on the label. This could save you money in having to buy clothing replacements for lost clothing. School name labels can be bought online. There are labels which can be sewn on and there are labels that can be ironed on – you can choose which one if more convenient for you. Even using a permanent marker to put initials on the label could be valuable. When clothing is damaged, many parents opt for the lazy option of buying new clothes. But there are times when you can save money by picking up a needle and thread and making some DIY repairs. Some rips may be too large for this, but the majority are likely to be easily fixable. Even if you’re not a dad hand at sewing, you may have a friend that you can call upon. You should also think twice about replacing clothing simply due to stains. White shirts and tights may easily get discoloured from mud and grass stains. Some of this may not come out in a regular wash, however, you may be able to invest in a high quality stain remover to get rid of these marks. Talk to fellow parents to get recommendations on the best stain removers and use online reviews as a guide. If you’ve got other younger kids who will be going through the same school, make sure to cling onto the clothes that they could use when they eventually reach that age. This is particularly the case with clothes that are still in good condition. Do you have any tips to share on making the most of school uniform? "Win A Jumanji 2018 DVD"
"Free & Bargain Books Linky – 21/05/2018"